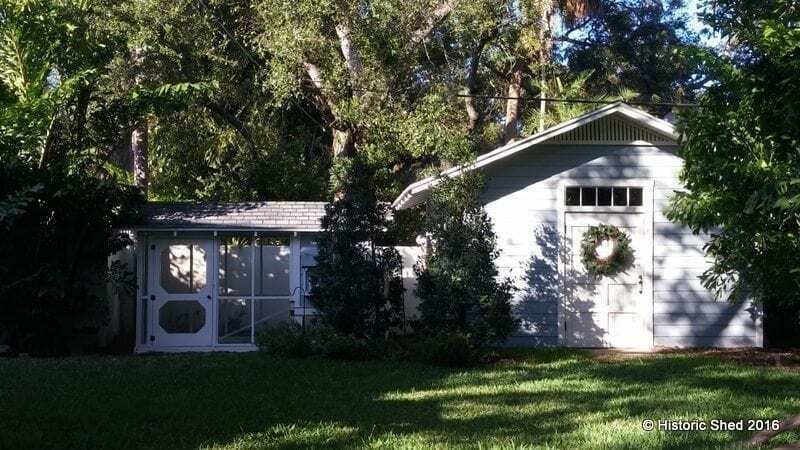 Last year we built a storage shed for a south Tampa customer with a transom over the front door. 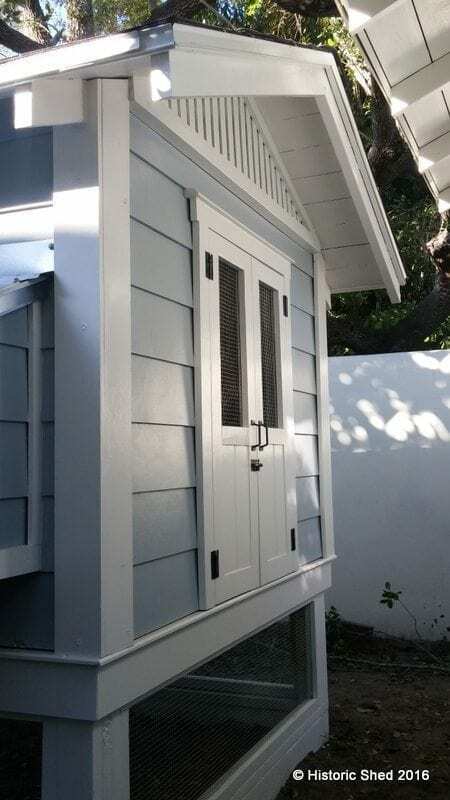 Recently, he called us again asking if we had ever built a chicken coop since he wanted one that matched his house and shed. 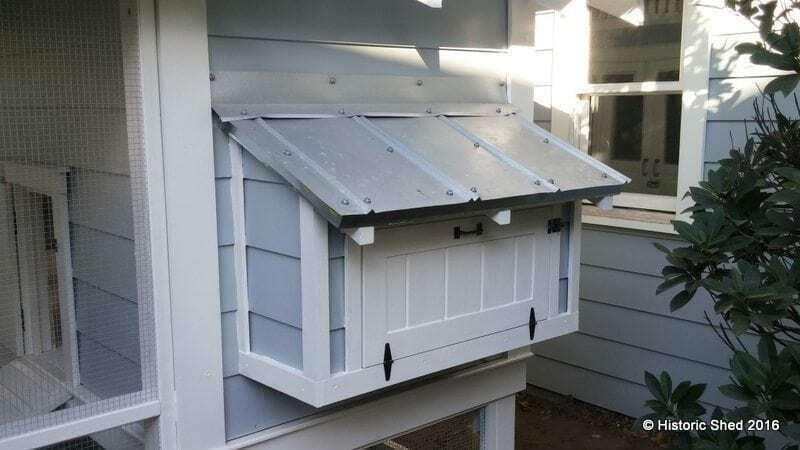 Our response was, “No, but we designed a nice one that we had intended as a prototype but haven’t gotten around to building.” With a few tweaks to the design, he ordered the coop and we set to building. 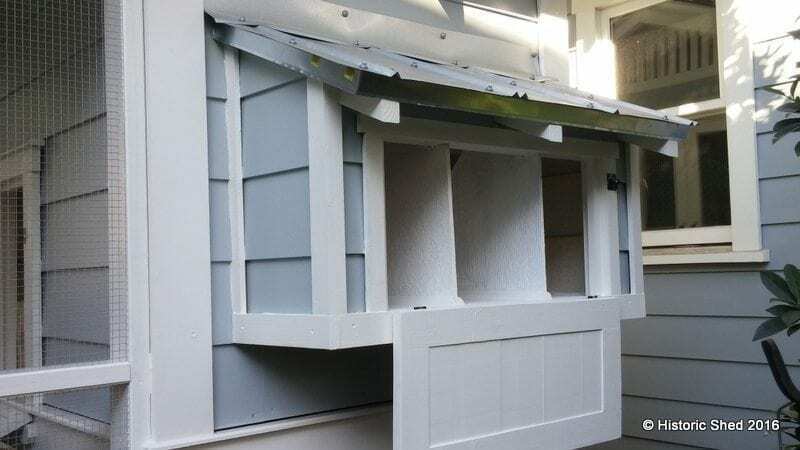 The new coop consists of a 4’x6′ elevated hen house with a 6’x8′ screened yard. the screened yard was set on 4×6 rails recessed partially below grade. 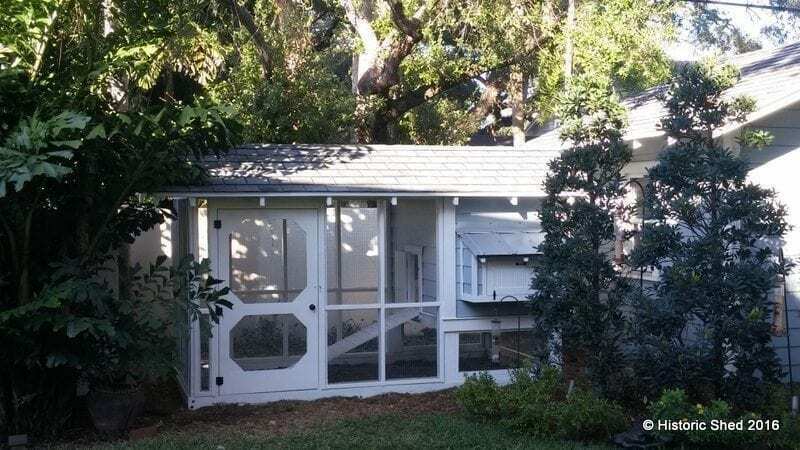 The screened yard has a full height access door. The nesting box has a hinged door to access eggs. The nesting box is subdivided. 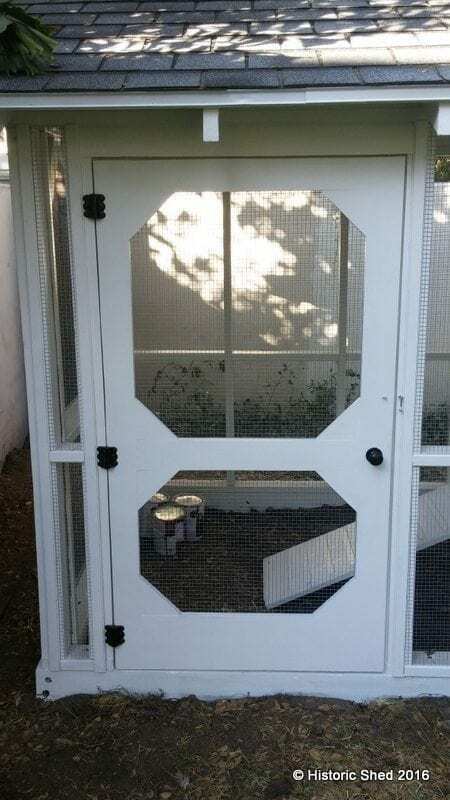 A pair of doors allow access to the hen house for cleaning. 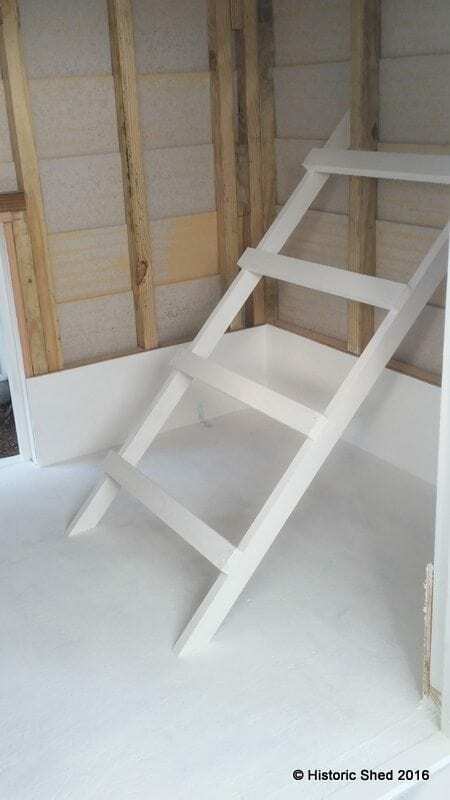 A ladder inside provides a nesting perch for the chickens to rest. The new coop sits next to the shed Historic Shed built for the same owner. The chickens had not moved in yet when our installation guys finished, so we will wait to hear how the future inhabitants like their new home. For now, we have to settle for it looking nice in the yard. Many thanks to the backyardchickens.com website for providing a wealth of knowledge as we designed and built the coop. Would you build a chicken coup for a human? So beautiful! That’s what each of our sheds and home offices are!